Our team of experts has selected the best lunch boxes around, so that you can take your favourite dish with you wherever you go. 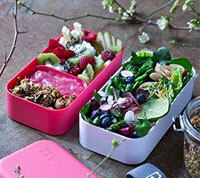 Browse our wide range of lunch boxes, whether you need one that is insulated, small, big, etc. There is something for everyone. Save money by preparing your meals in advance and taking them to school, work, on long journeys, etc. 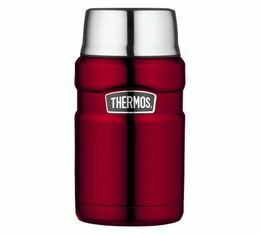 The most popular brands such as Thermos, MonBento, Qwetch, Aladdin, Emsa ... are amoung our selection. The complete lunch set from Monbento : a bento lunchbox with 2 levels for your food, 1 BPA-free bottle, a cutlery set, 2 sauce cups & a transport bag. 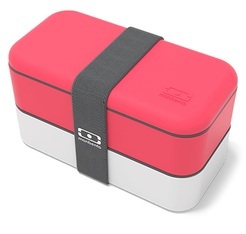 Monbento Original lunchbox - "Litchi"